The fast growing, singing, blood thirsty plant “Audrey II” may have a few TRICKS up her… ah, stem. 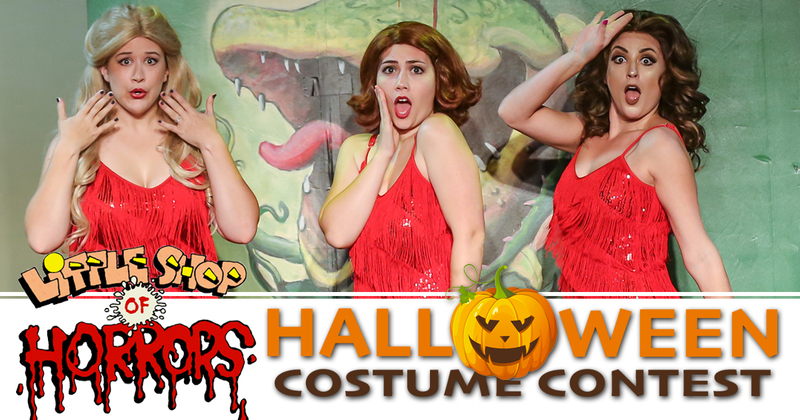 But the Branson Regional Arts Council has lots of exciting TREATS to offer ticket holders at the 7pm October 31st Halloween performance of Little Shop of Horrors. The festivities will begin with a pre-show performance by BRAC’s Youth Show Choir group STACCATO, followed by an audience costume contest with some cool prizes for the best in various categories. If that wasn’t enough… everyone who has purchased ticket(s) to any of the Little Shop of Horrors performances before 6pm on October 31st, will be included in a drawing to win (2) 2019 Full Season Passes to experience 10 amazing theatrical productions! That’s valued at OVER $250.00!!! The season pass drawing will take place during the Halloween night performance. Selected winner need not be present to receive their prize! Prize may not be sold by the winner, but may be used by them or transferred to another couple of their choice. To be included in this drawing for two 2019 full Season Passes, you must have already purchased a Little Shop of Horrors ticket(s) or get yours before 6pm Central on October 31st at BransonArts.org/tix!